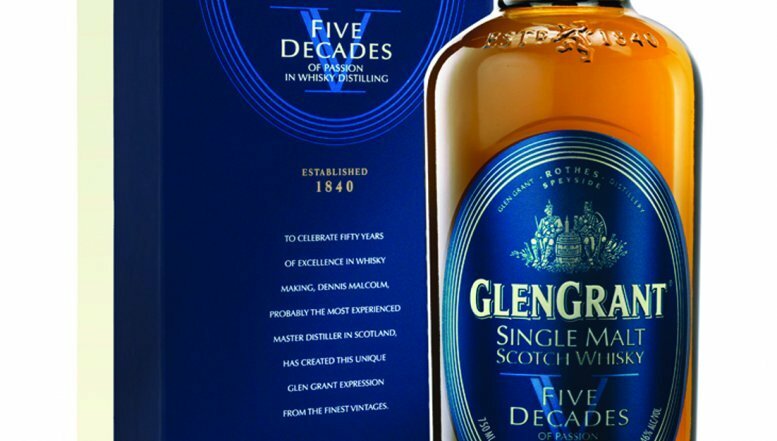 Glen Grant’s new Limited Edition expression, Five Decades, has been released in South Africa, marking 50 years of remarkable service by one of the world’s leading master distillers, Dennis Malcolm. This unique multi-vintage combines Malcolm’s favourite hand-picked casks from the 60s, 70s, 80s, 90s and 2000s: it is mellow, rich single malt with a great complexity and depth. Curiosity and family history contributed to Malcolm’s choice of career. Growing up, he was fascinated by the fact that a cask could hold liquid without any glue. His father and grandfather worked at the distillery, where he was also born close to. Since March 1961, when he joined Glen Grant as a cooper’s apprentice, his commitment, creativity and passion have continued to grow. He has been responsible for developing a range of delicate, fruity and smooth expressions, namely The Major’s Reserve, 1992 Cellar Reserve and the distillery’s 170th Anniversary Limited Edition, as well as a 10-year-old and 16-year-old. The distillery’s state-of-the-art biomass plant is designed to recycle the waste from the whisky-making process as animal feed, and creates electricity by burning draff and woodchips. As one of the world’s leading single malt whiskies, the bottling centre produces 2 000 bottles every hour, mainly for export to Asia and Europe. 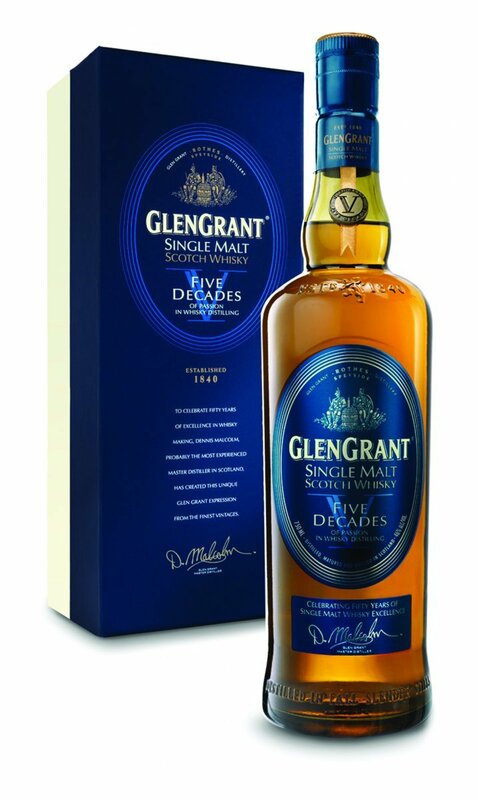 The Glen Grant Five Decades expression has a recommended selling price of R1 200.